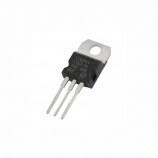 The polyester film type capacitor used to store charges in the form of electrostatic field in high voltage range. 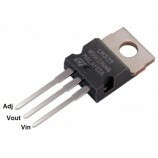 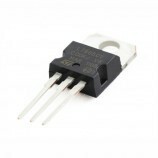 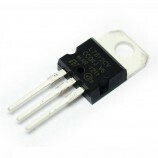 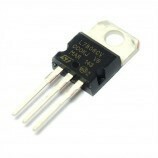 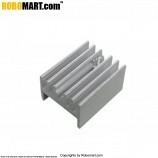 It is used in various electronic circuits, power supply unit, etc. 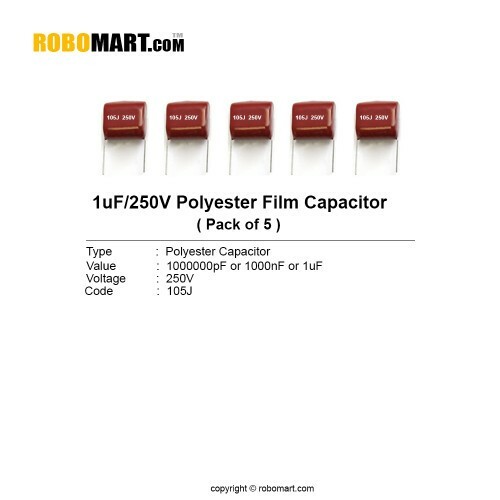 Also Searched as : one microfarad 250 Volt Polyster Film Capacitor, 01 microfarad Polyster Film Capacitor, 01uF Polyster Film Capacitor, 1uF 250v polyester capacitor, 1uf 250v polyester capacitor online, 1uf 250v non polarized Capacitor, 250v non polarized capacitor, 1uf non polarized capacitor, polyester disk capacitor 01uf, polyester disk capacitor online.